Three Wellingtonia stand in Weaver's Park, across the other side from the skateboard area. There are two large ones, one is on the grassed area and one is just inside the wooded area some forty metres away. 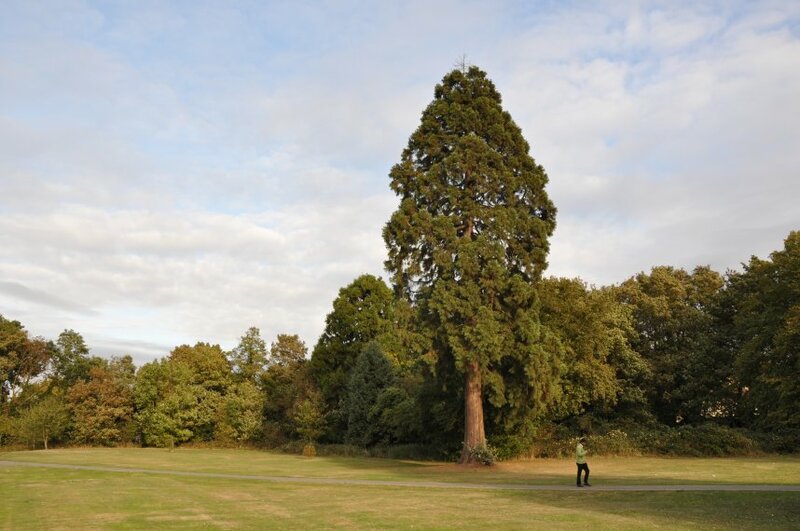 In between the two, also on the grass, is a very young Giant Redwood of approximately three or four years old in 2009. Sadly the Giant Redwood in the wooded area is rather infested with tree creeper and ivy, perhaps some kind soul could set to it with a sharp pair of secateurs as I had forgotten mine on my visit.